My favorite part of the Thanksgiving turkey is the carcass! 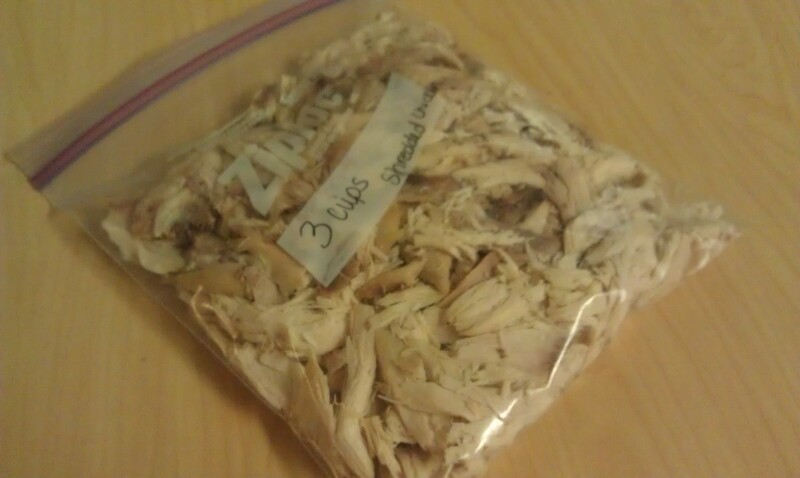 Making turkey stock is so easy, delicious, and nutritious! Do not ever throw out your carcass again! Even if you aren’t hosing Thanksgiving dinner, you can ask the host what they are doing with the carcass. Don’t let them go in the trash! You also don’t have to wait until Thanksgiving to make stock, this can be done with any bones, so anytime you have a baked chicken or beef bones, don’t throw them out! If you don’t have time to make stock right now, just toss the carcass and all the drippings into the freezer. Drippings, fat, veggies cooked with the turkey, etc. 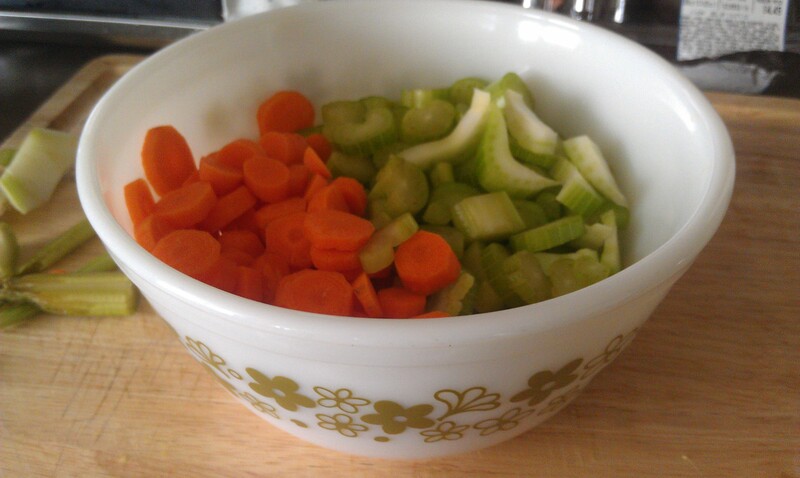 As you cook during the week, save your veggie peels and ends for stock making. You can get a gallon size freezer bag and stick the veggies ends in until you’re ready to make stock. 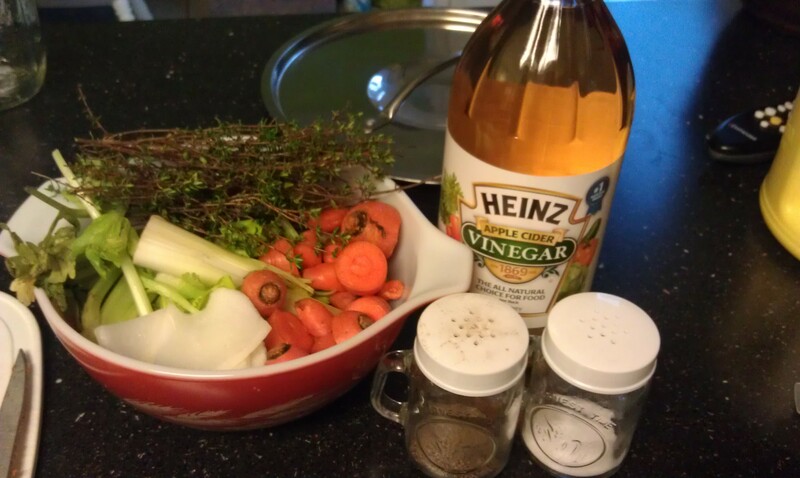 The apple cider vinegar helps draw out extra vitamins and minerals out of the bones. Bone broth is so good for you! Let this cook for at least a few hours or you can even have it cook for a day or two. 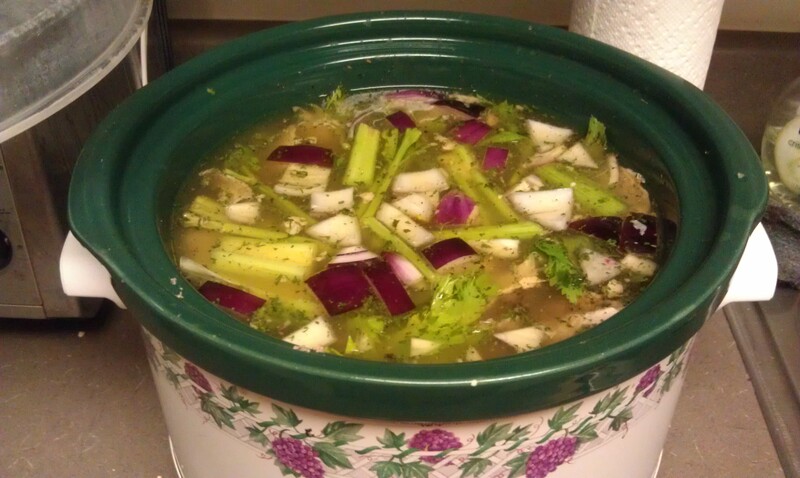 You can make it in a large crock pot or a large pot. Add more water if necessary. Be sure to keep taste testing to see if it needs anything. If it tastes too watery, let it cook down more. 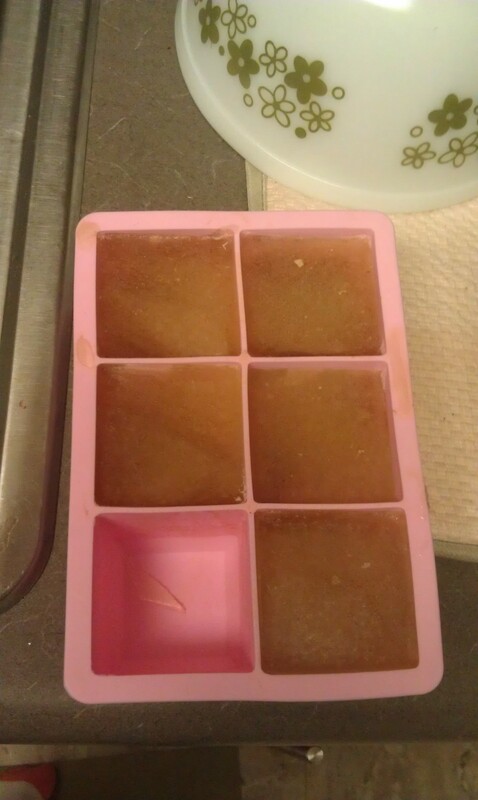 Keep in mind that bone broth will taste different than broth you make from a bouillon cube. Strain your stock. A tiny holed colander or some cheese cloth will do the trick. If you notice your stock is very oily/fatty, let the stock cool completely (put it in the fridge or outside if it’s cold enough). Skim off the fatty film and then bring the stock back to a boil. What to do with stock? Lowes.com: Poinsettias just $0.99! (+ Free Store Pick Up) It’s Mega Swagbucks Day! Get Free Amazon Gift Cards!